Retirement lifestyles depend on your financial success — but financial success is part reality and part perception. In fact, if you moderate what you perceive as financial success, you could improve the financial reality of your future. It's particularly important to consider this as you approach retirement, but this dynamic actually starts well before you're ready to retire. It has to do with what kind of lifestyle you think you need. According to the US Census Bureau, median household income when the primary earner is between 25 and 34 is $54,243. This climbs to $66,693 when the primary earner is between 35 and 44, and to $70,832 when the primary earner is between 45 and 54. As you might expect then, income tends to rise as people get farther along in their careers. So far so good. After that, though, income takes an abrupt U-turn. 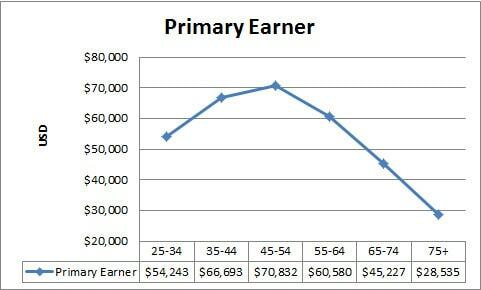 When the primary earner is between 55 and 64, household income declines to $60,580. It plunges further to $45,227 for households whose primary earner is between 65 and 74, and continues to decline when the primary earner is 75 or older, to just $28,535. This last figure represents a decline in household income of some 60 percent from the prime earning years of ages 45 to 54. A traditional financial planning assumption is that retirees need less income than people in their working years, and to some extent this is true. For the most part, retirees are no longer supporting their children, their homes are often owned outright, and they no longer have to save for retirement. However, figures from the Bureau of Labor Statistics show that the drop-off in expenditures in people's retirement years is not as great as the drop-off in income. Like income, annual expenditures peak for people aged between 45 and 54, at a national average of $60,524. 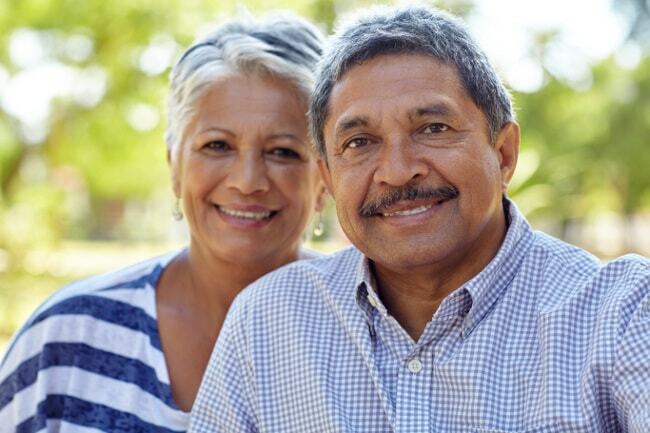 However, while household incomes drop by about 60 percent when the primary earner is 75 or older, expenditures for that age group are only 43 percent lower. In other words, for retirement planning purposes it is significant to note that expenses don't typically fall as fast as income. One reason for this is health care expenses, which usually increase rather than decrease as people enter retirement. Unfortunately, many people not only raise their lifestyles to match their incomes, but they are lulled into a false sense of security by the trajectory of their income growth. Seeing their incomes rise steadily as they move through their 20s, 30s, and 40s gives people the impression that they will continue to be better off financially in the future. Consequently, they tend to believe they can afford to take on debt now and pay it off when they are earning more later. In these cases, people not only raise their lifestyles to match their incomes, but they are pushing their lifestyles beyond the level of their incomes. This makes the gap that results when incomes start to fall all the more jarring. Related >> Retirement Strategies: How are you Doing? Consider an alternate approach to matching your lifestyle with your current income. Take the long view and consider what your income is likely to average over your remaining years. For example, taking national averages as a guide, a person in the 45-to-54 age group may be earning $70,832 now, but averaging this with the incomes for the subsequent three age groups results in a figure of $51,293.50. Basing your lifestyle on this income assumption rather than your peak earnings will allow you to save more for the future, while also subjecting you to less of a downshift in lifestyle as you grow older. More savings and less of a come-down in lifestyle — that's an improvement to both the reality and the perception of your financial condition in the future. What do you expect your retirement experience to be like — and, more importantly, how do you set the guidelines for your lifestyle level? There are 18 reader responses to "How to Live Comfortably in Retirement". Well, lifestyle in retirement seems to be more peaceful than it is now. Being a Business owner, I am very active to save and invest for my future. Moreover, creating a emergency fund is very important. I have dreamt about a peaceful retirement with my partner and financial security through out the life ahead. Nice article. About two years ago, we realized that we didn’t need to continue raising our lifestyle–ever. At all. We had everything we wanted, and if anything could “deflate” the lifestyle in a few ways to lower our expenses long-term. While our expenses will increase as our children grow and healthcare costs increase, we are hoping to retire a bit early in part because we won’t need $4 million in investments to maintain a simple lifestyle. Living below means is a character trait that needs to be gained early in life. Successful corporations decrease spending with cost cuts as their revenues increase to increase profits. In the same way, we must learn to cut down are living expenses as our wages increase during our prime years for retirement. We could have mini-splurges once in a while to take a moment and enjoy life. However, we don’t need our lifestyles to be catching with our paycheck as it grows. I think you have an excellent point about the value of tempered expectations. One of the dangers I see now is using investment return rates from the recent past and confidently extrapolating these into the distant future. People who do this aren’t to blame, after all to some extent it’s this promise of large compounded returns that provides the impetus to save aggressively now. But it’s one thing to pursue the possibility of high returns and quite another to count on it actually happening. My plan for the future resembles what I’m doing now. Today I’m living below my earned income means and tomorrow I’ll be living below my safe withdrawal rate means. In other words my planned withdrawal rate will be 1-2% per annum. Right now I value peace of mind over living large, and I expect to maintain the same priorities after I’ve long retired. I imagine that retirement would be similar to how life is now and with a similar amount of money spent (maybe even less because we won’t outsource as much). The main reason for the household income going down is not less earning but less persons per household. According to the same source you refer to, for 2014 the median income per household MEMBER goes only down from 33.3 to 26.6 thousand dollar (comparing the 45-55 age-group vs the older the 75 age group). That is a reduction of only 20% per household-member. Your general advice is obviously very sound. But the data is not as dramatic as it seems to be on first glance. I take your point Jerome, and understand that some expenses would be reduced along with the decline in household members. Still, the loss of an income-producing household member is not a non-event when not all household expenses vary directly with the number of people in a household. Especially for home owners, big ticket items such as a mortgage, property tax, and home owners insurance must then be supported on the dwindling incomes illustrated by the chart. Exactly. Like your neighbor, too many people start worrying about this stuff once it is too late to do very much about it…. 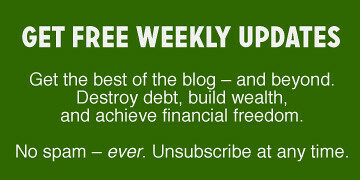 On a simple living in retirement blog that I follow, the writer makes a point of getting all those wants built and paid off before you retire. You want a garden shed or a shade house to sit in etc….get that built before you retire…not only because it is all paid off before you retire but to build it while you are young and fit enough to do it. Now being in my mid 60, believe me when I say that your strength and stamina really starts going in these years. We are about 2 years away from retirement About 5 years ago my husband and I compiled our 5-year pre-retirement capital project plan: new garage door, AC unit, 2 car purchases, kitchen remodel, etc. all to be paid for in cash prior to our “big day”. So glad we have most of it completed. The article seems nice but it doesn’t seem to take into account the effects of health and medical issues. I do not have a single friend/associate in the baby boomer generation who is not experiencing some kind of health issue – not necessarily life-threatening, but definitely things that slow you down, cost money to fix or just maintain, and especially make FT work more difficult. This point came home to roost this fall when after some medical problems, even with excellent employer-based health insurance, we’re still out some $1000+ out of pocket (I haven’t tallied this up yet). When the ER knows you on a first-name basis, it’s not good. I can’t find the source, but I remember hearing that in old age, you trade a mortgage payment for the equivalent in medical expenses each month. As someone who is retired, my expenses did go down in retirement.And yes, I travel , quilt and have other so called expensive hobbies. However I no longer dress for success, have work related expenses, a house payment or retirement contributions. I also don have college fund savings . Almost everyone I know spends at least twenty percent less in retirement, and no, we are not all pikers. I always figured the idea of financial independence was to set a lifestyle level and ensure you had enough assets to achieve that level for the foreseeable future regardless of age and regardless of averages. All the averages tell me is other people are running out of resources as they age because fewer and fewer seemed to have “income”. However, if I am financially independent, I don’t run out of income regardless of the “average” so my graph, even inflation adjusted, is pretty flat and I’ve plateaued in a good way. Isn’t that the goal? So I expect my retirement experience to be one of similar lifestyle to the one I am currently living, minus the payments for the kid’s college fund, minus the mortgage payments, minus the amount of money already being saved towards retirement, minus the amount I pay into SS and Medicare, etc. that leads me to a percentage of what I am currently actually living on as what I consider a reasonable estimate of what I will need going into “retirement”, with a few percentage bumped up as a buffer for my goal, in my personal case I’m estimating 65% of current income. I have no illusion it will be perfect, and I expect both leaner and fuller years as markets, health, or circumstances all change over time. I may find I like and am able to work more because I know I don’t have to (ka-ching!). I may luck out and the spouse will decide she can’t stand me at home and gets a full time job to be away from me (double ka-ching!) I may shift to part time work (piggy bank rattle!). I may find a second career via a hobby (wooden knick knacks anyone?). I may find I love playing golf every day (can’t get much worse than I am now). I may have a stroke and subsist in a vegetative state to have my spouse subtly poison me with Windex because I’m sucking off too much of the money and she’s met a new beau (whoa! too much crime TV). Barring that I hope to become the mischievous gnome grandpa, scooting around in my electric wheelchair and encouraging the great grandkids to steal me some cookies, which I will share because that all I’ll have left to give, other than some coins, gold hopefully. Lot’s of possibilities. Haha, what a great comment! Hopefully you can avoid the death by Windex. Nice post Richard. Thanks for this great tips. There are many people who wants to retire comfortably but they don’t know the things to consider to make it happen. Just because you’re retired doesn’t mean you can’t work some side jobs doing what you love. If you’ve got the ability, you can work just a few hours a week doing handyman work, painting, etc. The extra cash can greatly offset living expenses as well.